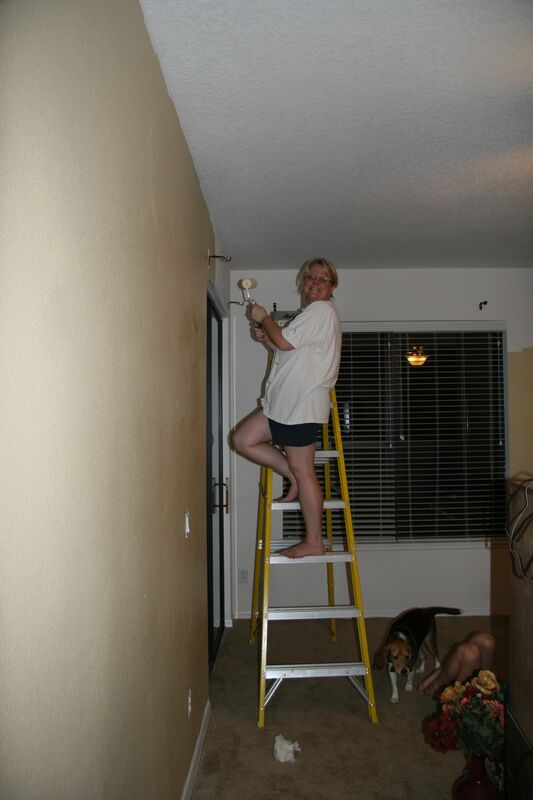 Jennifer finished up the painting of our room just in time for the new bedroom furniture to be delivered on Friday. The whole room looks really nice. Jennifer summed it up perfectly with her statement, “I feel like a grown-up now.” It’s funny, it’s such a true statement. The mattress is a Tempur-Pedic. So, it’s a little different than we are used to. We’ve slept on it two nights now and I can’t say that it’s the most comfortable bed I’ve slept on. We’re hoping that our bodies get used to the new mattress soon. If you follow Jennifer’s Facebook stream, then you will know that we recently bought a new bedroom furniture set. It’s actually our first set. We’ve been married for twelve years and we finally decided to spend a little money on our room. I bought a new TV a couple of weeks ago and last Friday Jennifer was shopping and found a set she loved. Well, they deliver the new furniture on Friday, the day after Thanksgiving. So, with her school work (mostly) done, she bought some paint and started to paint in preparation for the big day. Just can’t believe that Abby is eleven years old. The time has flown by so fast. This web site started with her birth and continues on chronicling each of the French girls as they grow up. After going skating a few weeks ago with some neighbor friends, that was all Abby could talk about wanting to do for her birthday. 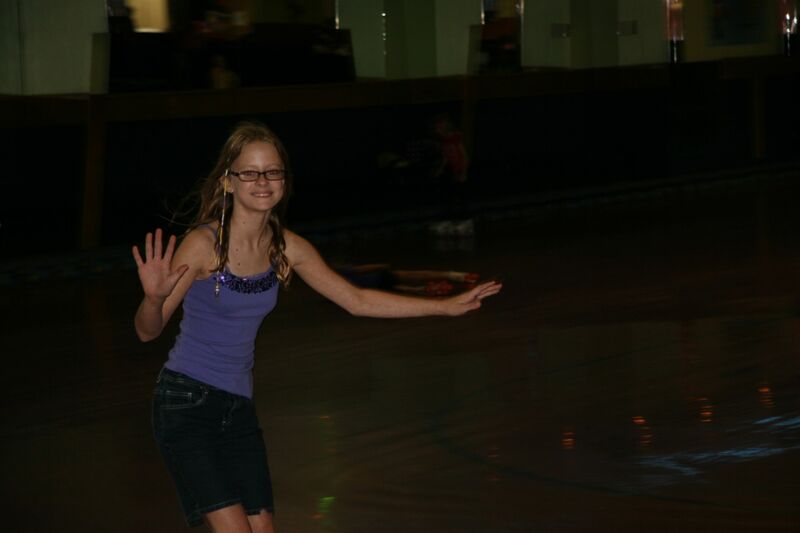 So, when I went to the roller rink a few weeks ago with Emily for one of her friend’s birthdays, I signed her up for a fun filled afternoon of skating with her friends. First off, I didn’t know roller rinks still existed, but when you step into this place, it’s like a land that time forgot. The decor and the condition of the building is like something out of the 80’s, but I guess that’s the charm. I really enjoyed the video games, getting really close to a high score in Galaga. At the end of the afternoon, they gathered for cake and opening presents. She told her friends she either wanted a gift certificate to Justice or art supplies. She got about 5 gift certificates to Justice (and one set of art supplies). Abby said she had a great day and thanks everyone who sent her a gift and/or a card for her birthday. She’s growing up to be a very considerate kid. Realized today I’ve been lax on posting to Frenchville lately, so I thought I would do a quick update. Soccer season is finally over. It all came down to a final game between Izzy’s team and Emily’s team. It ended in a tie, 0-0. Emily has gotten really good a soccer and I think she’s looking forward to moving up to the next level next school year. Izzy did well for her first time. Now at the end of the season, she seems to not be afraid of getting into the mix where the ball is. She still needs to learn the position she’s playing and work on focusing on what is going on on the field. The season ended in a party over at one of Emily’s teammates house. They won a contest that had their backyard converted to a miniature Disney water park. Last week was Halloween. You can really tell that the girls are getting older now. None of their costumes were standard. 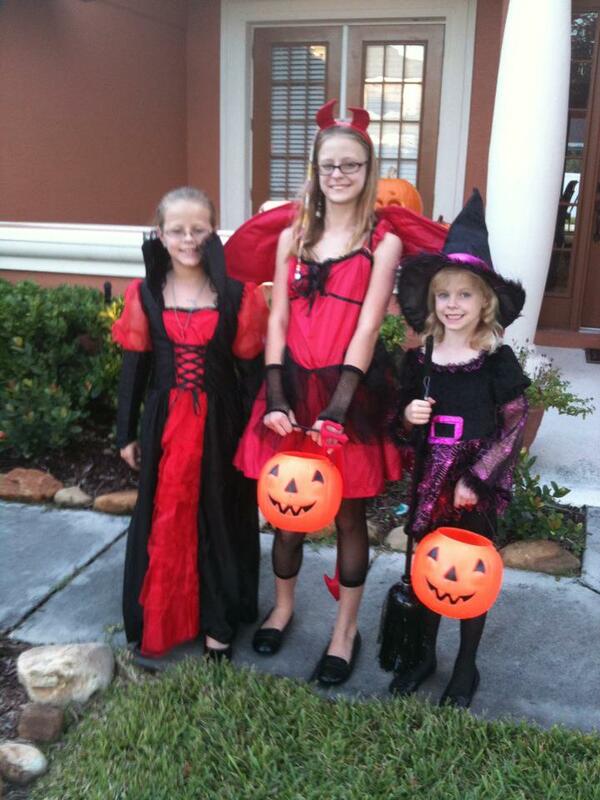 We had Abby as a devil, Emily as a vampire queen, and Izzy as a witch. The evil trio for sure. With Jennifer’s school schedule it was a little tricky this year, but the girls went around the neighborhood with our excellent neighbor until I got home and took over candy duties from Jennifer so she could go to her class. The candy haul was pretty good this year despite sticking to our small neighborhood. We are still snacking on the candy a week later. Finally, it was a momentous occasion for Izzy. She lost her first tooth. Frenchville now has covered all first teeth falling out. From Abby to Emily and now Izzy. She was so excited. When she woke up in the morning the Tooth Fairy had brought her the standard $5. She’s still saving up to buy us a swimming pool.